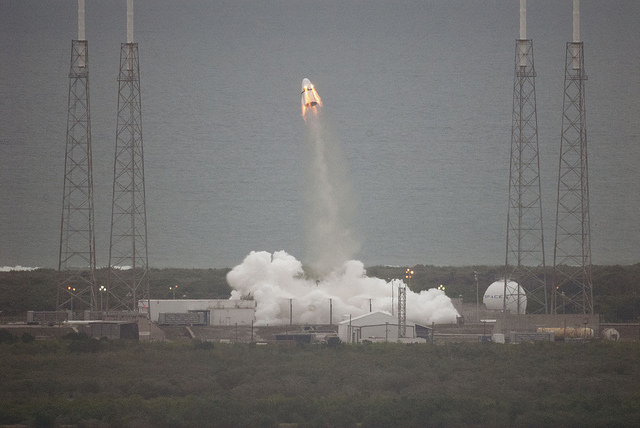 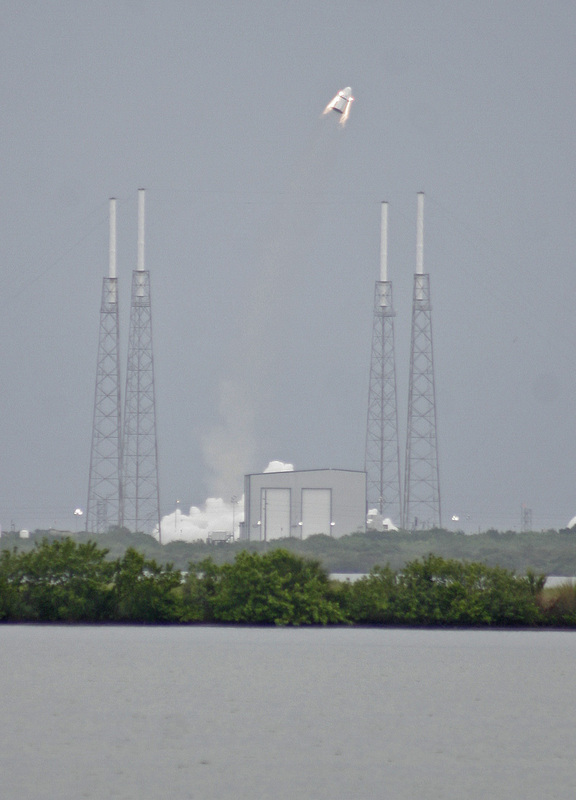 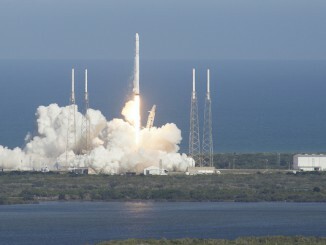 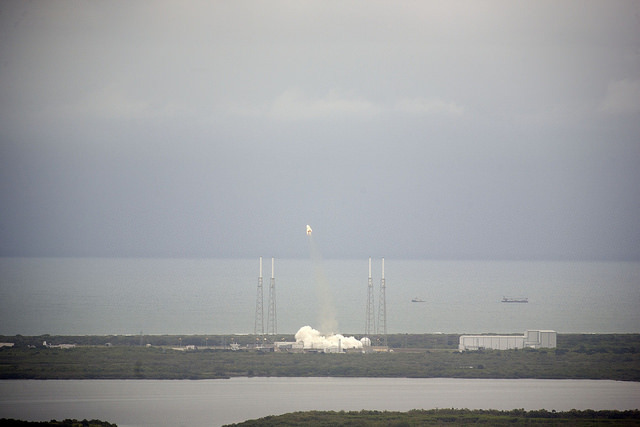 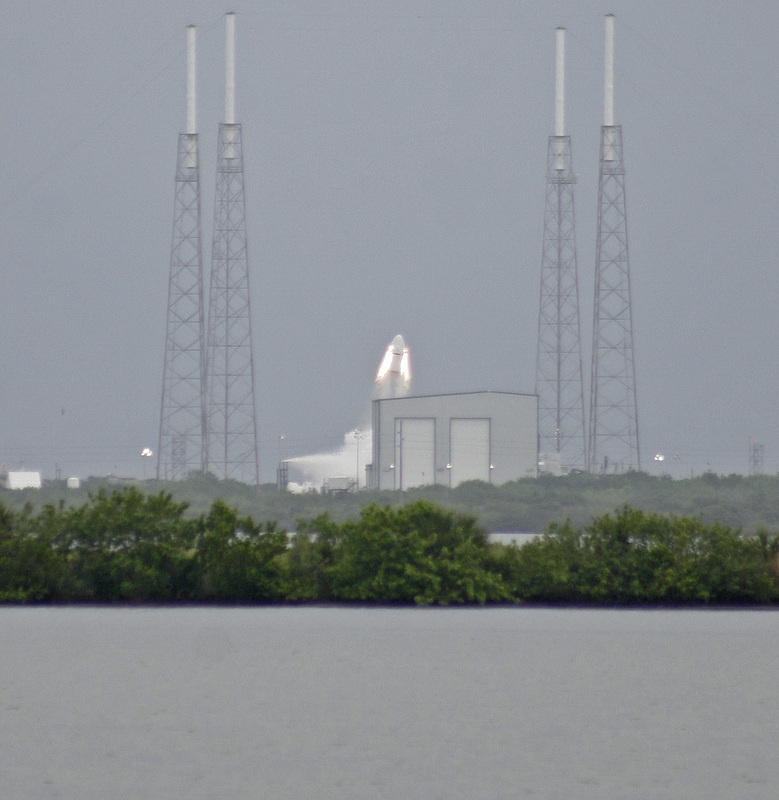 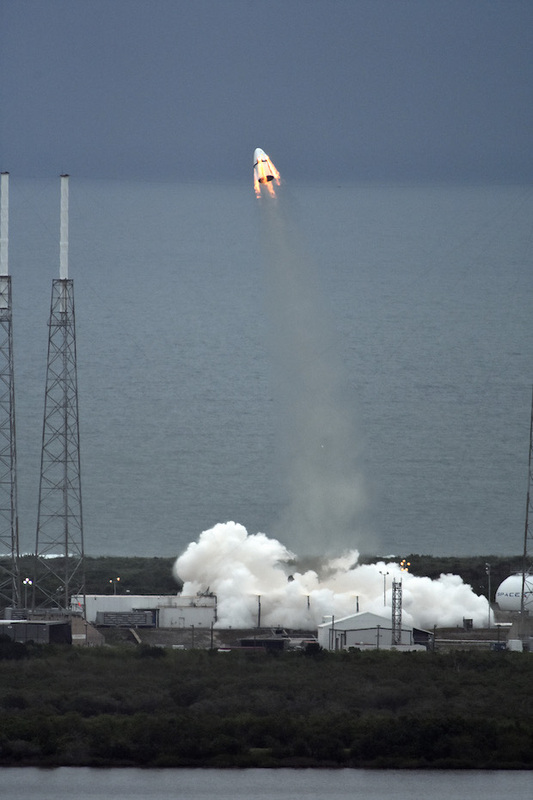 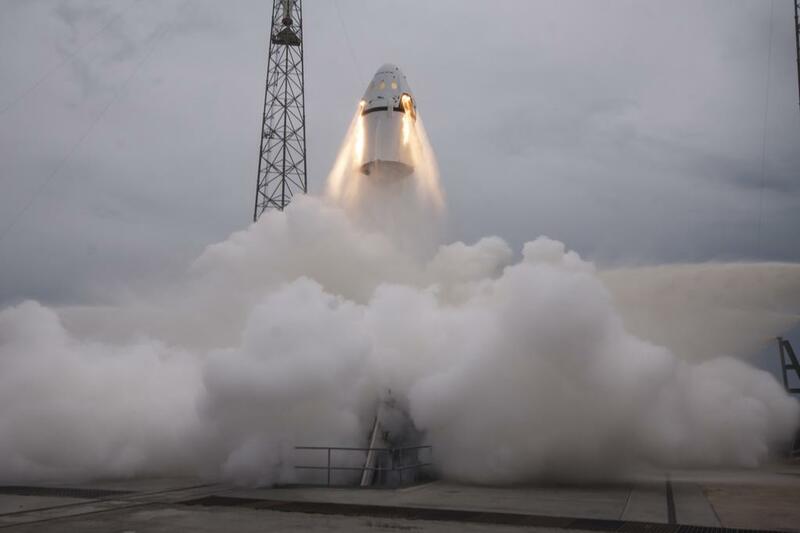 It didn’t go into space, but SpaceX’s Dragon crew capsule fired off a launch pad at Cape Canaveral on Wednesday for a 99-second test flight of a crucial safety mechanism that would save astronauts from a catastrophic rocket failure. 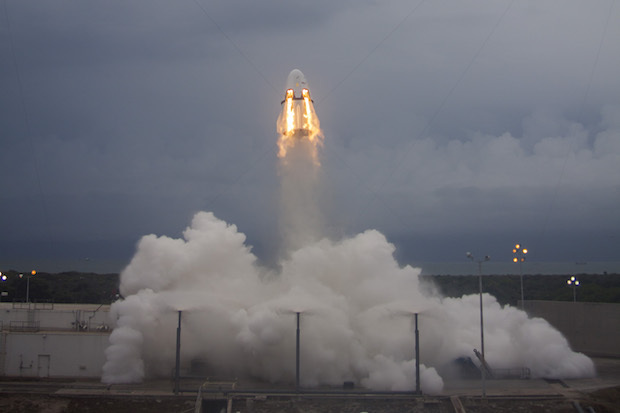 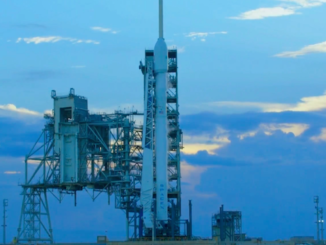 The 8-ton spaceship blasted off at 9 a.m. EDT (1300 GMT) from Cape Canaveral’s Complex 40 launch pad, the same facility SpaceX uses for operational Falcon 9 flights. 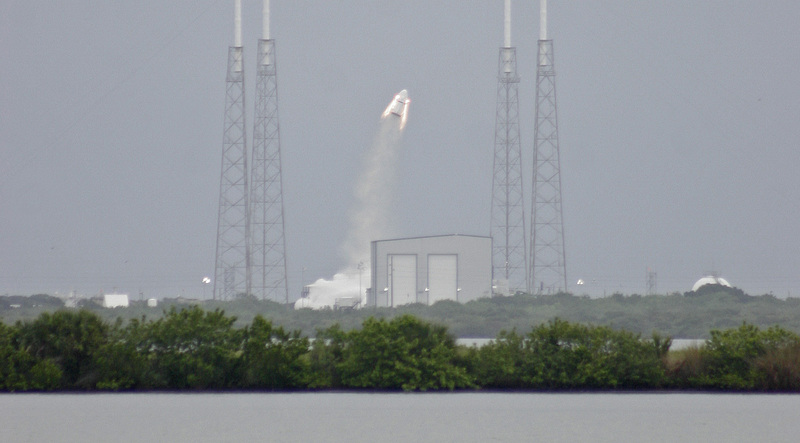 Eight SuperDraco rocket engines boosted the capsule from 0 to 100 mph in 1.2 seconds and to a top speed of 346 mph. 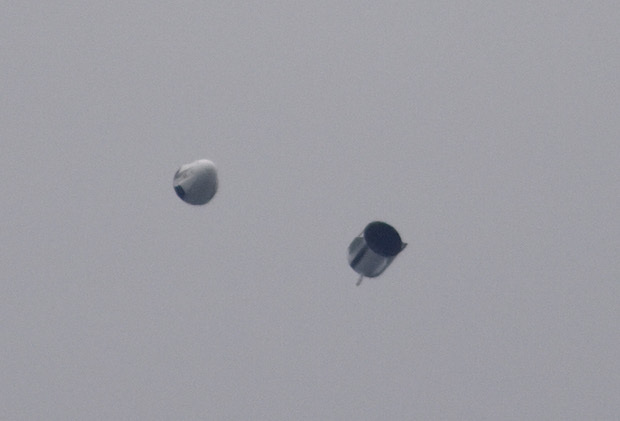 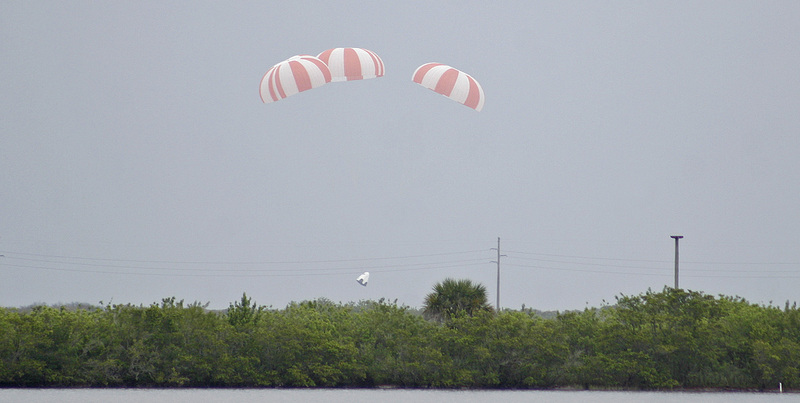 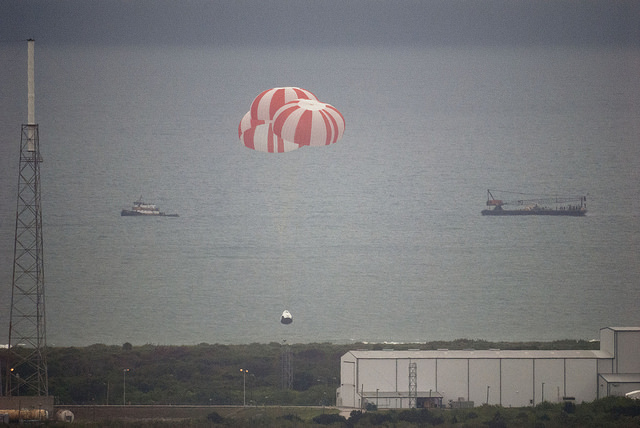 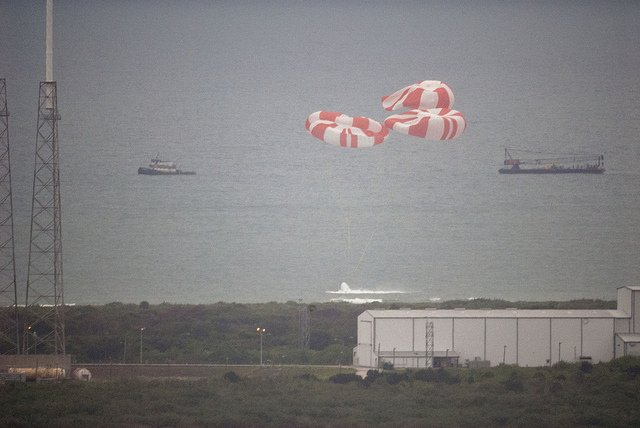 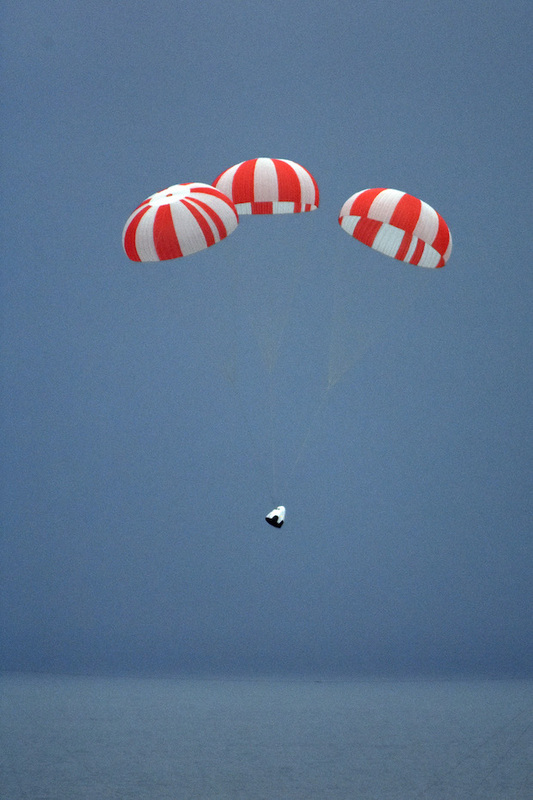 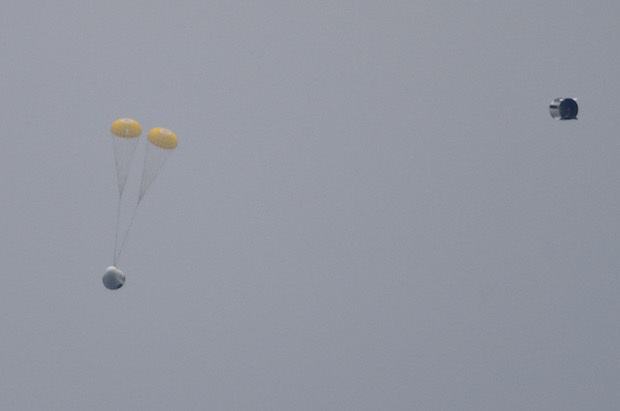 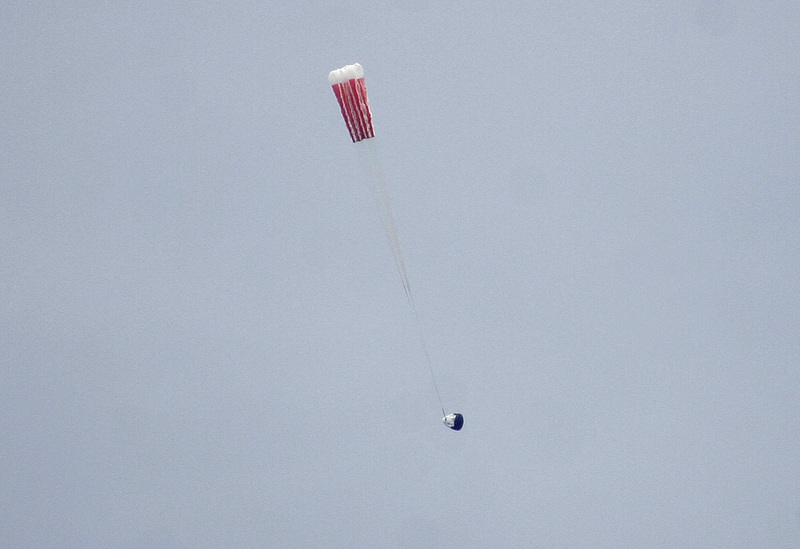 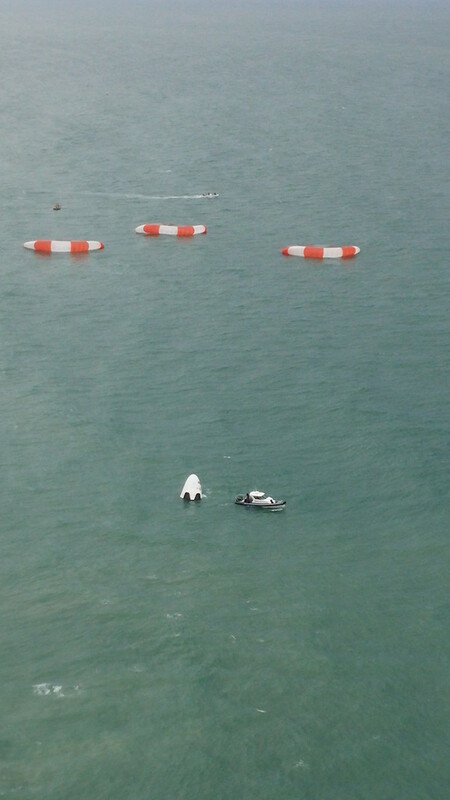 The spacecraft reached the apex of its trajectory at an altitude of nearly 3,900 feet, jettisoned its rear-mounted trunk, then deployed parachutes before splashdown in the Atlantic Ocean just offshore. 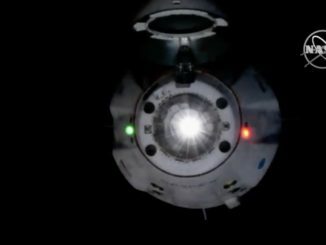 The capsule traveled a lateral distance of nearly three-quarters of a mile on the flight, according to SpaceX, which plans further tests before the Dragon is ready for astronauts in 2017.